Game description: Learn the ways of the Wild West as a bounty hunter seeking vengeance. 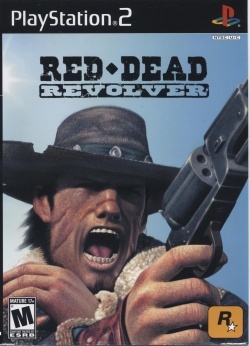 Red Dead Revolver tells the story of Red, a man on a mission to kill General Diego--the rogue Mexican general who murdered Red's family for gold. As Red, you'll have a variety of weapons to choose from, including pistols, rifles, shotguns, and dynamite. Dusty towns, windswept prairies, rugged saloons--the game integrates all of the elements of a classic Western movie. This page was last edited on 27 December 2016, at 15:32.